Allan and Margaret have much pleasure in inviting you to their house concert featuring Mothers of Intention. Mothers of Intention are a dynamic four piece folk band, reinterpreting the classic Celtic folk songs and tunes. Lush three part vocal harmony, driving guitar, fiery yet soulful fiddle ,lilting recorder and the steady bodhran heartbeat define the Mothers sound. 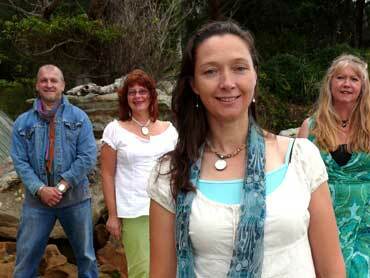 The Mothers of Intention also perform original songs, tunes and eclectic covers off their recent CD ‘Watersong’. The Mothers of Intention perform regularly and have played at numerous folk clubs and festivals including St Alban’s for the past 5 years, National Folk Festival ACT where they launched their new CD - Watersong, Majors Creek, Coast Fest, Kangaroo Valley and Turning Wave festival, Gundagai. They play Beechworth Festival, Vic in Nov as well as Illawarra and Peats Ridge Festivals in Jan ’08. Look forward to seeing you all . . .